The Iditarod Trail Sled Dog Race is one of the biggest events in Alaska each year, but abnormally warm conditions and a lack of snow has forced organizers to move the race further north this year. According to the Associated Press, via FoxNews.com, the first day of the Anchorage-to-Nome event was a ceremonial run through the city of Anchorage on Saturday, March 7, but the race restarted Monday, March 9, in Fairbanks, some 225 miles north. The race restart usually begins in Willow, but brutal conditions last year and more of the same in 2015 gave race organizers no other choice but to move the event to Fairbanks. The typically snowy and icy trails of the previous course now feature gravel-based pathways exposed in some sections, causing unsafe racing conditions. On average, Anchorage receives about 60 inches of snow each year, but has only gotten about 20 inches in 2015, according to the AP. The lack of snow has not impacted all of the state, as there has been plenty of accumulation over the Alaska Range where the race restarted. There were 78 mushers who began the race this weekend. The competitors and their teams will travel through the harsh conditions of the Alaskan open wilderness, including a stretch of 600 miles on river ice, something unique to the new course. 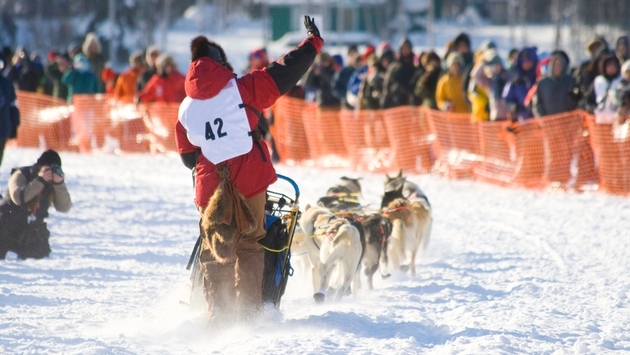 With a new path to follow for racers and a field that features six former winners and 20 rookies, the 2015 edition of the Iditarod Trail Sled Dog Race will be unique and interesting.